License: open-source, BSD 2-clause derivative. 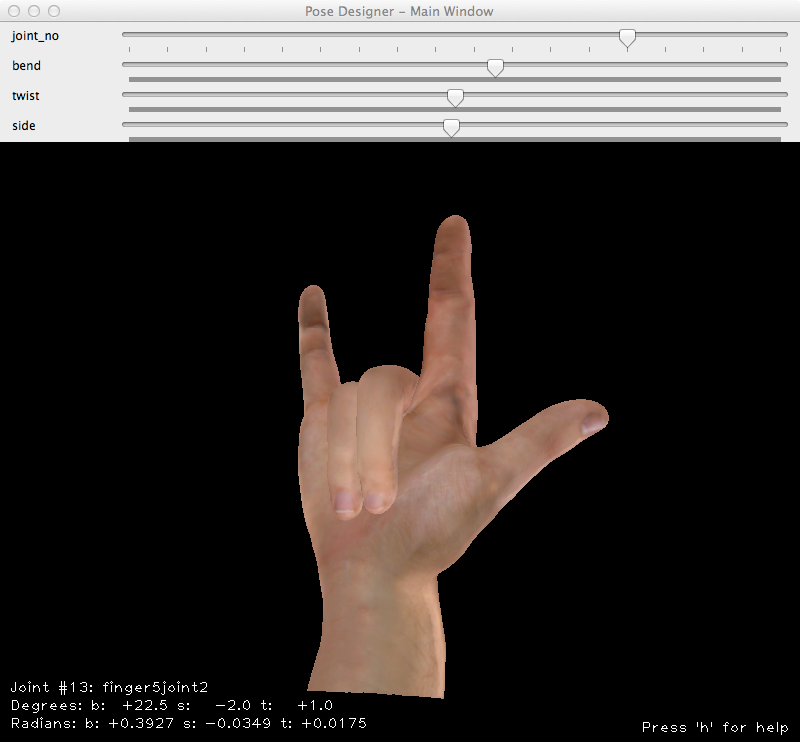 LibHand is an open-source permissively licensed portable library for rendering and recognizing articulations of human hand. 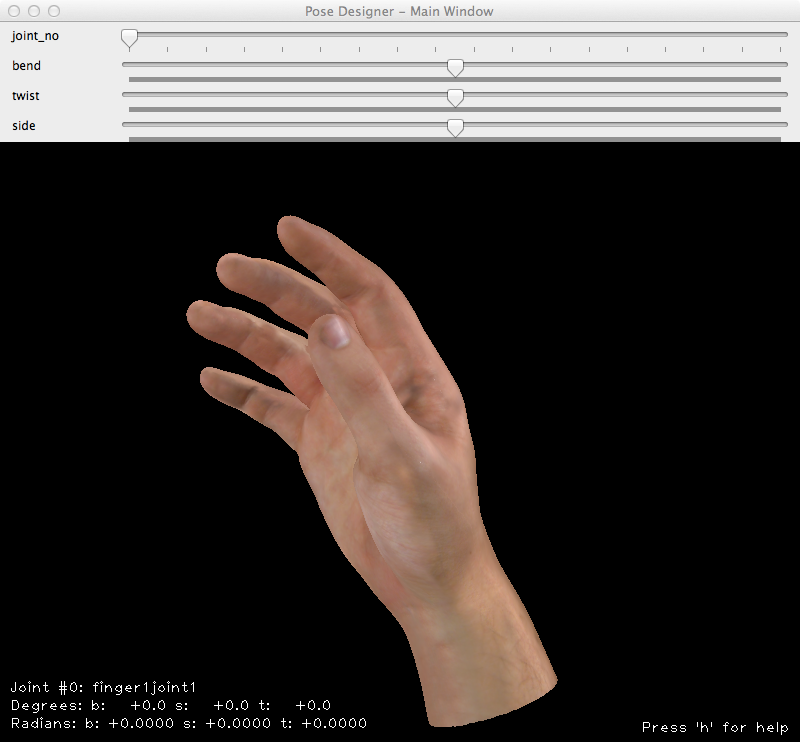 The goal of LibHand is to provide as simple programming interface as possible to manipulate human hand pose information, render a human hand and analyze the resulting image. Potential scientific applications include Computer Graphics, Computer Vision and Robotics. 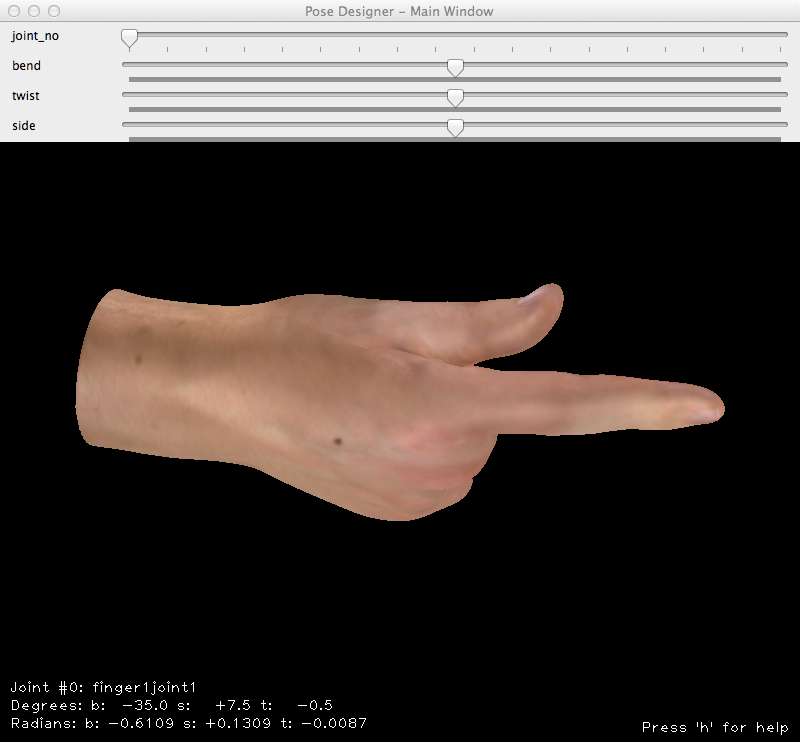 LibHand is implemented in C++ and offers a MATLAB interface to facilitate experimentation. LibHand is currently actively supported for MacOS X and Ubuntu Linux on 64-bit x86 processors. 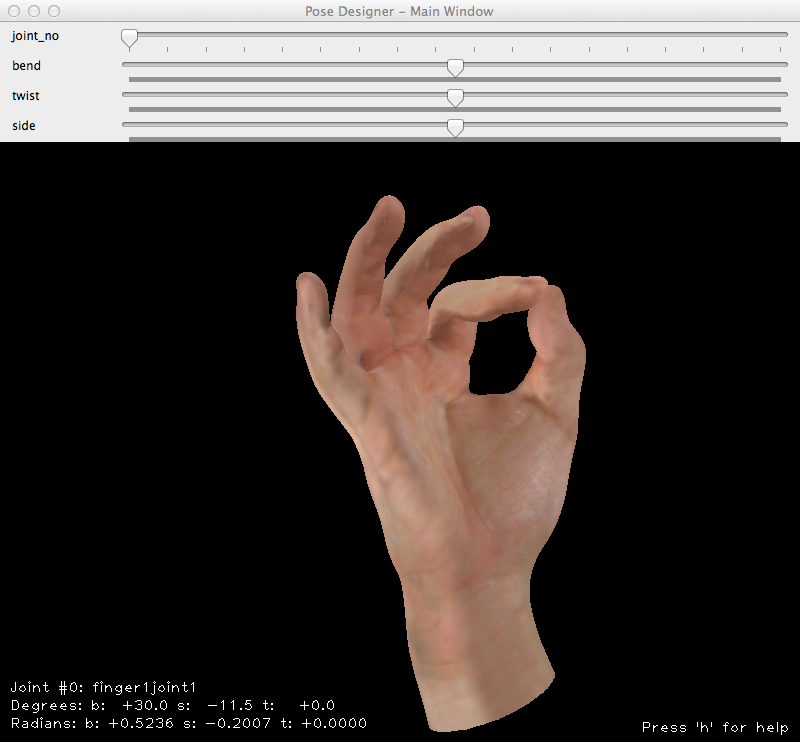 By leveraging OGRE, a modern 3D engine, LibHand can render, deform and analyze a realistic 70k+ triangle hand model at high framerates on mid-range computer hardware. LibHand provides OpenCV-friendly interfaces to make it very easy for the Computer Vision and Robotics community to use it in their research. LibHand is designed to make it easier to reproduce and extend the research in areas such as hand grasping, hand pose recognition, hand gesture recognition, visual servoing, etc. LibHand is available under a derivative of a BSD-license that requires the academic community to provide attribution to LibHand by means of citations. Essentially, you can use, modify and sell LibHand or the derived software in academic and non-academic, commercial and non-commercial, open-source and closed-source settings, but you have to give proper credit. Please see the License page for more information.